Why Do We Love Our Cars? Count the Ways. It’s February, and we are focused on love at Kia Country. When we think of love, we think of cars. Of course, we make a living based on our passion for cars, but we are not alone. Granted there are those that think of a car as a mode of transportation to get from point A to point B. We are not talking about those people. We are talking about those who enjoy a deep emotional response and sensory experience from their relationship with the automobile. Where does this love of the automobile come from and how does it manifest itself? Journeys—Americans spent a great deal of time in their cars. It is a big country and our public transportation infrastructure makes living without impractical most. Whether commuting to school or work, visiting dispersed families, or vacationing, it is estimated that the average American spends about 300 hours a year in a car. Status—the badge conscious consumer—need we say more? 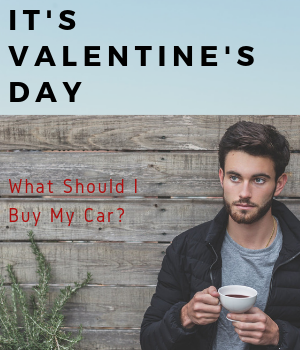 True love—there are the diehards, those that give their “baby” a pet name, spend inordinate amounts of money on their car, tinker, tinker, tinker…you know the type. So, Happy Valentine’s Day to all the car lovers out there. We get you and we stand with you.